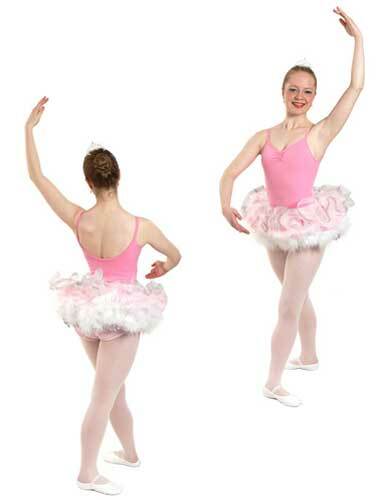 Sweetheart tutu skirt has a nylon pantie and 5 - 6 layers of gathered net approx 12" (30cm) in length reducing with size. Cherry tutu skirt has a nylon pantie and 7 - 8 layers of gathered net approx 12" (30cm) in length reducing with size. Tutu skirt with 4 - 5 layers of soft gathered net approx. 10.5" (27cm) long at size C3 reducing to 9.5" (24cm) at size C2 has attached nylon Lycra pantie with 1" (2.5cm) wide covered elastic waist. Eight layers of pleated net approx. 11 iinches (28cm) wide. Reducing to seven layers and 10 inches (25cm) wide at size C1. Covered with a layer of soft net decorated wih sparkling crystal gem stones. 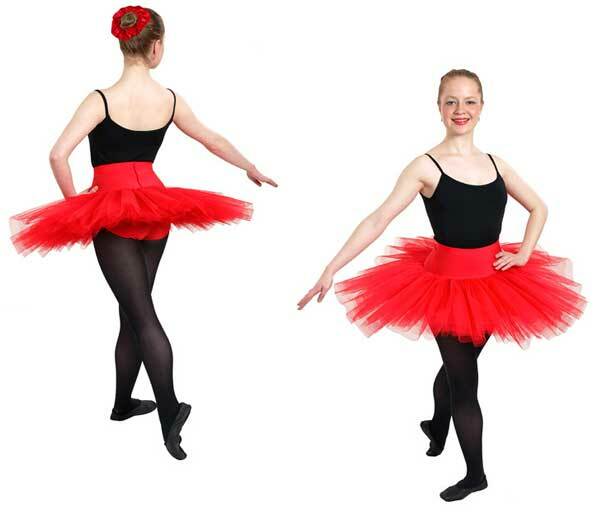 Plain velvet or nylon tutu skirt with 7 layers of pleated net. 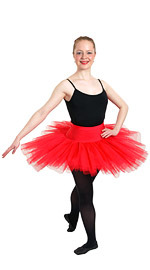 Plain nylon tutu skirt with 7 layers of pleated net. 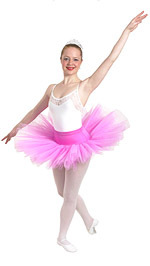 Girls tutu skirts are made to order in accordance with the size charts on this page.